All warm water underfloor heating systems use some form of tube in order to circulate the water to emit an even heat into a property. As the UFH tube is often set within the floor it needs to be strong, flexible, and be resistant to high temperatures to give a long-life, reliable solution. 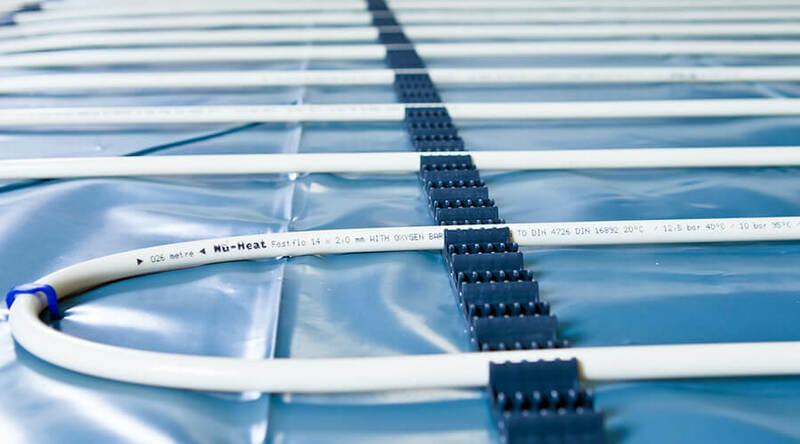 In this post, we are taking a closer look at our Fastflo™ tube to explain its key features and why these are important for use in an UFH system. Nu-Heat’s Fastflo™ tube is a PE-Xc pipe. It is extremely strong and cannot be damaged easily – it would have to be physically punctured on-site to suffer from a leak. PE-Xc is a high-density polyethylene tube that is made up of five individual layers before being physically cross-linked. Cross-linking is essential as it enables the tube to remain strong whilst being flexible, helping to prevent kinking or damage to the tube during installation. 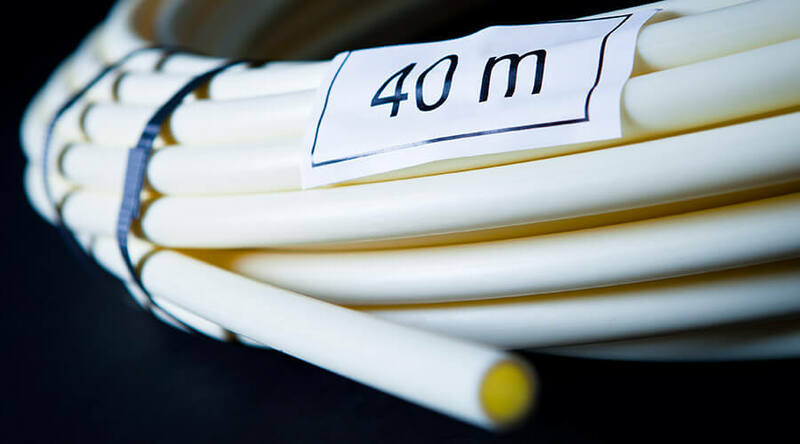 Although the majority of UFH tube in the market is the same, many come with different warranties ranging from a couple of years to full lifetime warranties. Different warranties offering varying levels of cover, although this isn’t always clear. At Nu-Heat, our Fastflo™ tube comes with a 10-year insurance-backed warranty. The benefit of this is that in the unlikely event that the tube fails, this warranty covers not only the replacement of the UFH tube, but all of the remedial work required to remove the existing tube and install a new system, potentially saving thousands of pounds that many other warranties do not cover. To find out more about Nu-Heat’s UFH systems, visit our floor constructions page or call our team on 01404 549770.